Government panel members Thursday slammed the labor ministry over irregularities in its monthly labor survey used to calculate unemployment benefits and gross domestic product. The faulty labor and wage data over more than a decade have resulted in the underpayment of benefits to more than 20 million people. “A serious problem has occurred,” Kiyohiko Nishimura, who chairs the internal affairs ministry’s Statistics Commission, said, urging the ministry to switch to an appropriate statistical method and take other necessary steps immediately. “This is an unprecedented scandal shaking public trust in government statistics at large,” another member of the commission composed of academic experts, said at an emergency meeting. The Health, Labor and Welfare Ministry the same day began a full-scale probe into the matter by convening a meeting of an inspection team involving lawyers, with the main focus on whether bureaucrats tried to systematically cover up the misconduct regarding a key survey of the country’s employment conditions. 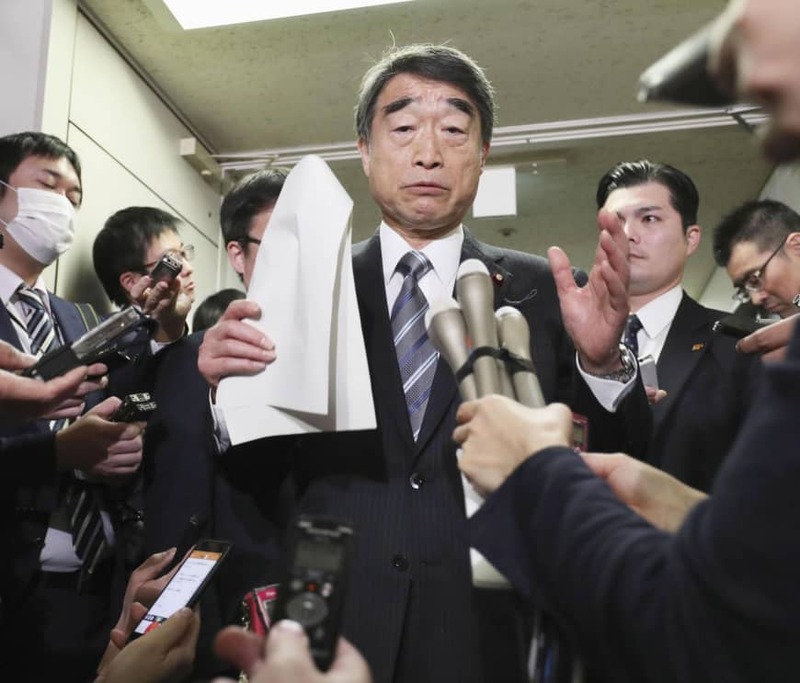 “This is an extremely serious incident,” labor minister Takumi Nemoto told the meeting. The government is expected to reprimand the labor ministry’s top bureaucrat and some other officials, a government source said Thursday. For the Monthly Labor Survey, the ministry is required to review all businesses in Japan with 500 or more employees. In 2016, the labor ministry informed the internal affairs ministry that it covers all business establishments with employees of 500 or more in its monthly labor survey. But it admitted last week that it collected data from only a third of the roughly 1,400 such companies in Tokyo since 2004, resulting in the statistics showing nationwide wages as lower than the actual figures. But such descriptions have been deleted since 2015, a possible sign ministry officials were aware they were doing something wrong and had sought to conceal the fact. 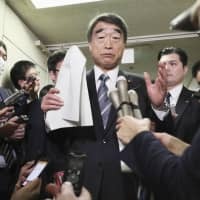 Labor minister Takumi Nemoto admitted to reporters Thursday that the descriptions in question had been removed from the manual that year. Given that changes to government statistics methods need approval from the internal affairs minister, the labor ministry may have violated the Statistics Act, sources familiar with the situation said. The government plans to retrospectively pay the shortfalls in the benefits.